4 February 2016 Unlocked content from the archive. Magrit is nearly 10 and lives in an abandoned cemetery with her skeletal mentor Master Puppet. One day her simple life is disrupted forever by the arrival of a tiny baby. She makes the decision to keep the baby, naming him Bugrat and keeping him safe from the occupants of the towering high-rises that surround them. But then things begin to change … This book is an absolute delight: beautifully written and gorgeously packaged, with echoes of Neil Gaiman’s Coraline and The Graveyard Book in Lee Battersby’s powerful, evocative prose and Amy Daoud’s clever papercut illustrations. Battersby, a well-known sci-fi, fantasy and horror author, has not written explicitly for children in the past, but handles it with deftness and flair, breathing life into the characters and the clever, tangled story. 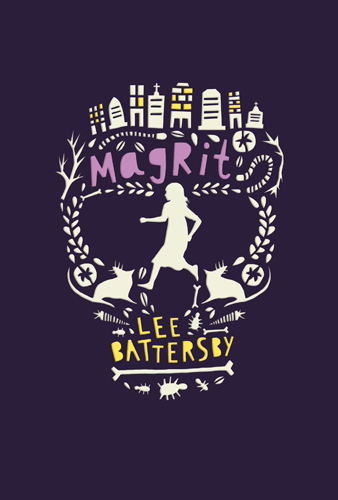 Magrit is an accessible and engaging story for young readers aged nine and up, but also offers depth and opportunities for discussion for teen and adult readers.